Dachshunds are known as fearless badger hunters. Crosses between dachshunds and Yorkshire terriers, often called "dorkies," are popular "designer" dogs. Crossing two established breeds results in a mixed-breed puppies that usually display characteristics of both parents; In the case of a dachshund-Yorkie cross, the puppies may have short legs, elongated bodies, floppy ears, and silky coats. What to Expect From Your "Dorkie"
Dachshunds are small hounds bred for hunting badgers. This dangerous activity requires a dog with a fearless disposition and a body allowing it to pursue its prey into burrows. Terriers were originally bred for keeping farms and homes free of mice and rats. Yorkshire terriers (yorkies) were bred for hunting rats in textile mills, but have been bred down to a mini-size that makes them perfect pets and "lap dogs." Yorkies also have a courageous attitude and may bark persistently to alert their owners to real and imaginary threats. Why Does my "Dorkie" Do That? Although "designer" dogs are often produced for off-the-charts cuteness, knowing the parents 'temperaments and typical breed temperaments for dachshunds and Yorkshire terriers is important before choosing your puppy. While "typical" temperaments for each breed can suggest how a dorkie puppy or dog may act, factors such as heredity and how puppies are socialized can affect their behavior. 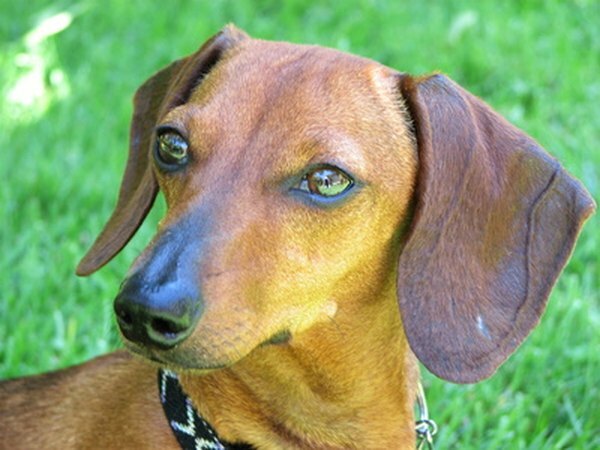 Dachshunds are rough-and-tumble dogs that can run and play all day. They will bark to challenge intruders, and are very loyal companions. Yorkshire terriers are also devoted and protective, but are usually happy staying close to their owners. Both breeds can bark too much if not trained early. Dachshunds are champion diggers; this behavior can be passed on to dorkie puppies. A dachshund-Yorkshire terrier mix is a great choice for a family dog; both parent breeds are smart and loving toward their human families. Always supervise small children around your puppy. Watch your dorkie puppy carefully, as jumping off of furniture and playing roughly can cause injuries. Dachshunds are prone to back problems; if your dorkie puppy has the long body of its dachshund parent, keep the puppy from jumping from heights or other activities that could cause back injuries. The smaller size of dachshund-Yorkie mixes makes them excellent apartment dogs, but they do need exercise and plenty of attention from their owners. Dachshunds and Yorkshire terriers are hardy dogs that can live 12 to 15 years. The lifespan for a dorkie also depends on heredity and care given during a dorkie's life. 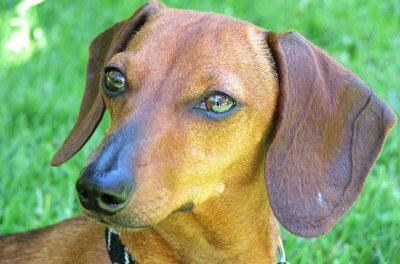 Health problems with dachshunds include back and skeletal problems, hypothyroid disease and epilepsy. Yorkshire terriers are also subject to hypothyroid disease and a condition that reduces blood to flow through the liver. These problems may not develop in your dorkie, but regular visits to your veterinarian can help with finding health problems before they become serious. Grooming your dorkie provides a good time for checking your puppy's entire body for problems.